Krixi CareTM is a next-generation, secure, easy-to-use cloud based service that enables consulting physicians to remotely evaluate and treat acute medical conditions such as stroke. Our multi-specialty platform is a turnkey solution that enables hospitals and hospital systems to establish, grow and optimize telemedicine and telestroke networks without expensive proprietary hardware or software, without any IT integration and without any dedicated internet connections. 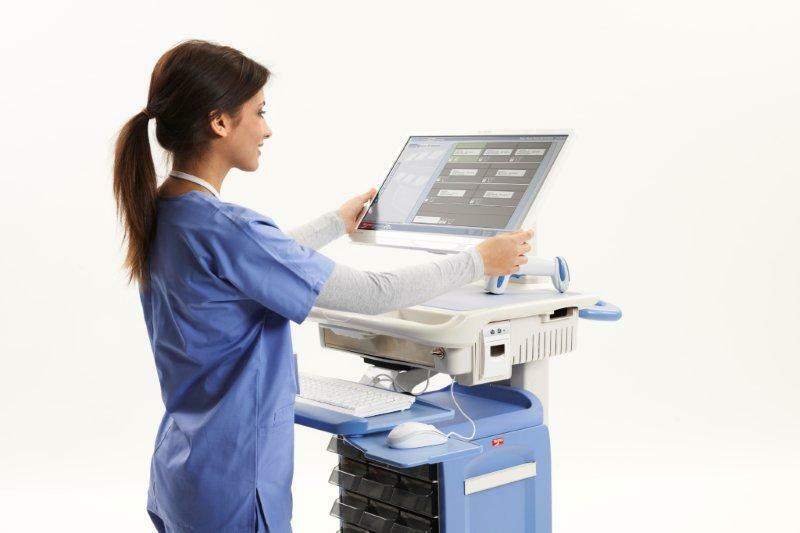 Krixi CareTM is a convenient, easy-to-use and ubiquitously accessible tool for the remote evaluation of patients from virtually anywhere in the world. Simply use any web browser to conduct secure, virtual and collaborative consultations. Physicians need not travel to emergency rooms in the middle of the night or incur lost opportunity costs for leaving their clinics during the day to provide call coverage for emergency rooms. With completely documented consultations in the format of SOAP notes that physicians are already familiar with, Krixi CareTM helps physicians reduce medico-legal risk associated with time-sensitive treatment such as thrombolysis for ischemic stroke patients. Physicians can now get reimbursed for telemedicine and telestroke consultations, since Krixi CareTM provides 2-way audio/video as well as data collection capabilities necessary for the highest levels of reimbursement for telemedicine and telestroke consultations. 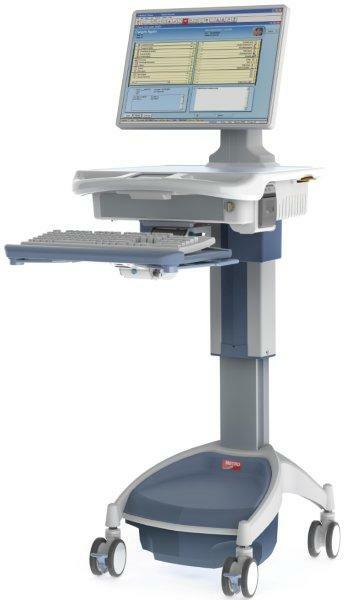 No hardware or software installed or configured at the hub hospital. Hence, no need for hiring new or dedicating existing IT resources at the hub to support our service. Earn revenue from downstream treatment of appropriately transferred patients, arriving in potentially better condition following a telemedicine or telestroke consult. 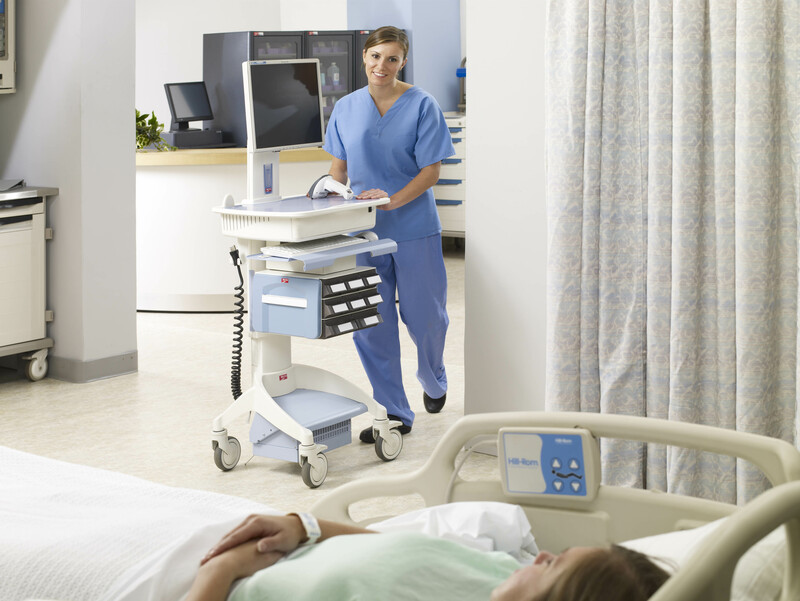 Relieve pressure on hub emergency rooms caused by unnecessary transfers. 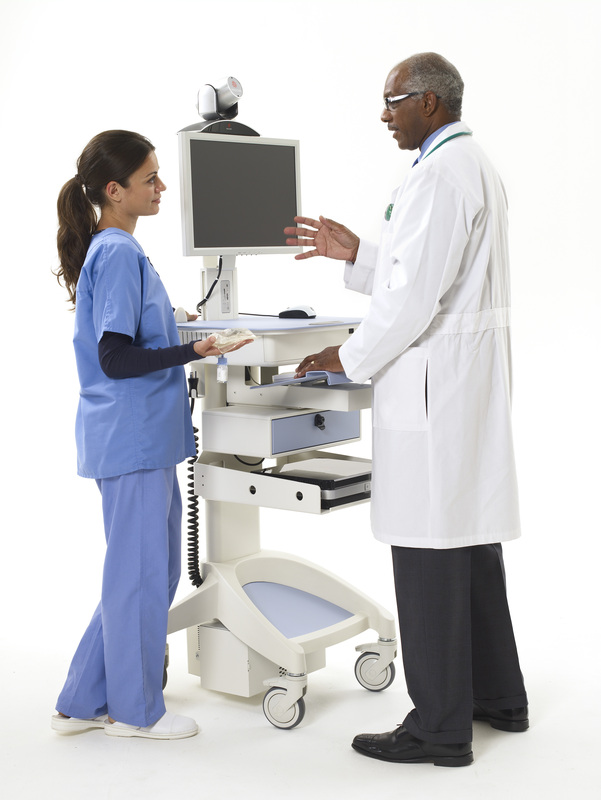 Maintain clinical workload balance for hub emergency rooms as well as for on call physicians. Develop strong, integrated, long-term referral relationships with spoke hospitals. Leverage a single, affordable platform for all your telemedicine and telestroke outreach programs and increase revenue streams for your hospital. 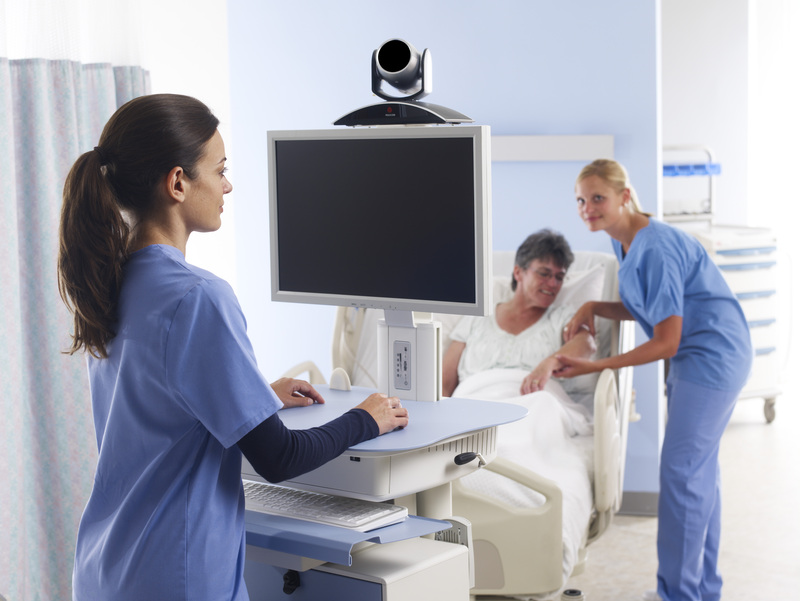 Market a custom-branded telemedicine and telestroke program and increase the brand value of your institution. Generate revenue from reimbursement for stroke admissions, suspected stroke admissions and treatment. Increase revenue by retaining higher severity cases and transfer of appropriate patients only. Avoid EMS bypass and stop losing patients to larger facilities, farther away. Achieve a better case mix and improved case mix index (CMI) from appropriate admissions and, consequently, increase revenue for all DRGs. Get 24x7x365 access to specialists in your emergency room. Develop strong, integrated, long-term referral relationships with hub hospitals. Build better patient relationships by bringing care close to home, where it should be. 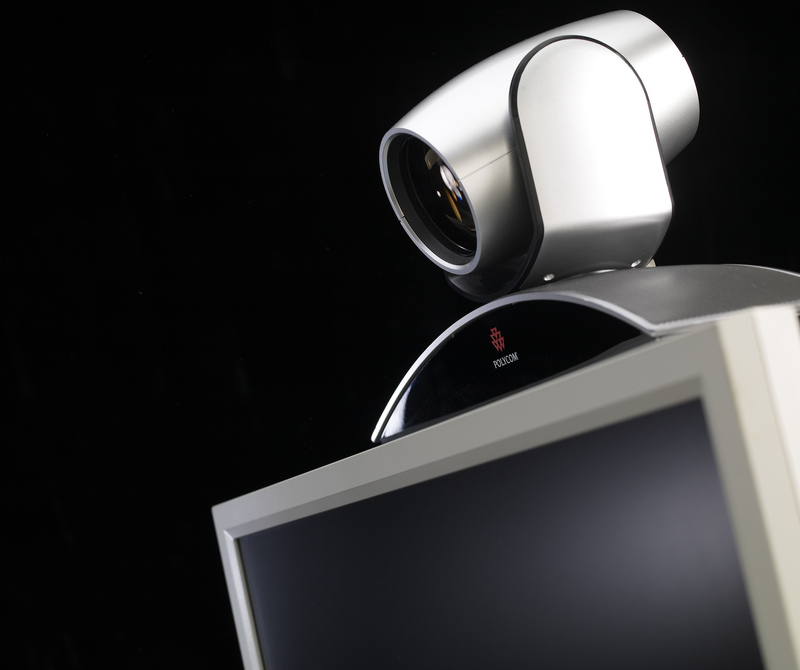 ASR is a leading e-health, Telehealth and Telemedicine Provider. 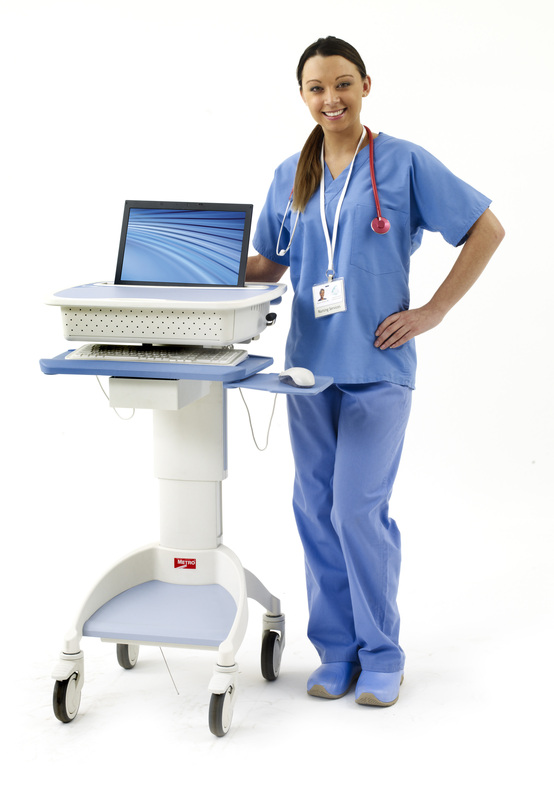 We also integrate and supply Telehealth Carts and Telemedicine Carts. is bridging the gap for Healthcare Systems of all sizes. 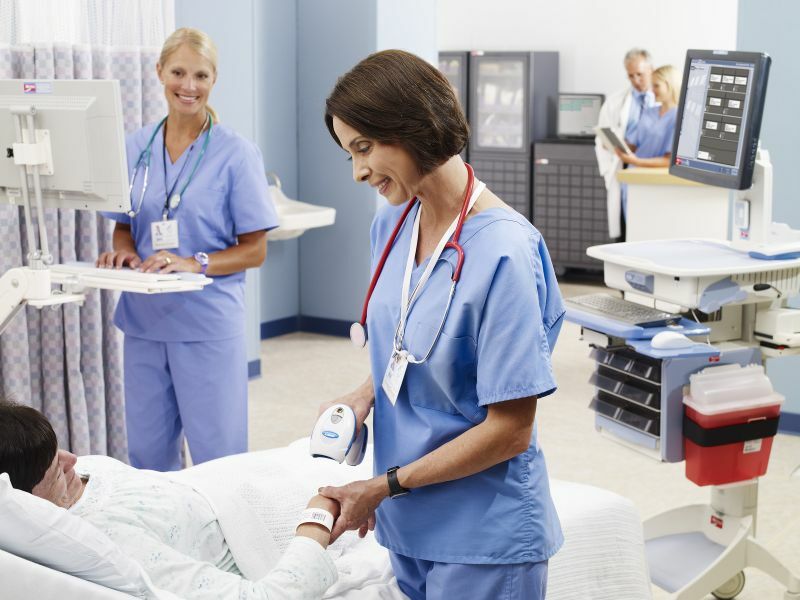 We are an award winning Healthcare IT company that knows Point of Care and Telemedicine. With over 25 years combined experience Point of Care, ASR has developed many ways to reduce Cost of Ownership and increase your Return on Investment. Let us help you cut costs on equipment and create more revenue. (now expired). 10 YEAR WARRANTY ON LiNano Batteries. 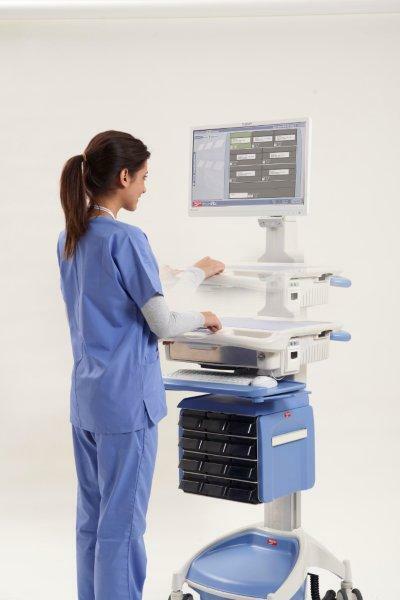 This new AccessPoint Cart leads the pack in Point of Care Mobile Carts. LiNano Battery – Rated for 5000 Cycles. DO NOT COMPARE to other manufacturer’s Lithium Batteries. Theirs have a quarter the life…2500 Cycles. We have a Mid-Grade to compete with those, if you like. But why go Mid-Grade and replace after 3.5 years? is bridging the gap for Healthcare providers. We are an IT company that knows IT and knows COWs. With over 25 years combined experience with them, ASR has developed many ways to reduce Cost of Ownership and increase your Return on Investment. Contact us today for a quote on AccessPoint Mobile Carts. ASR attended the GSHP 2013 Fall Conference for Pharmacist Leaders in Georgia. Held at the beautiful Brasstown Valley Resort in Young Harris, GA, this annual event is well attended by Healthcare System Pharmacists from all of Georgia . 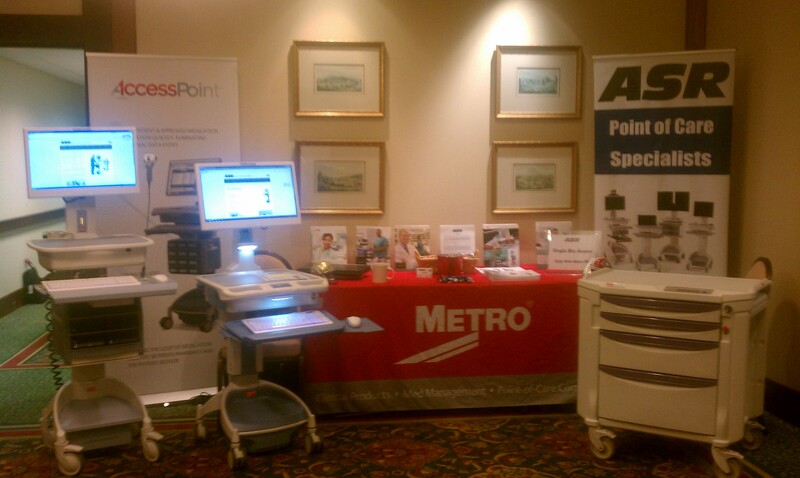 ASR showcased our full line of Mobile Carts, including the new…AccessPoint. Break out sessions informed and covered many Pharmacy issues and concerns. It was well planned, organized and smooth running…thanks to the GSHP! 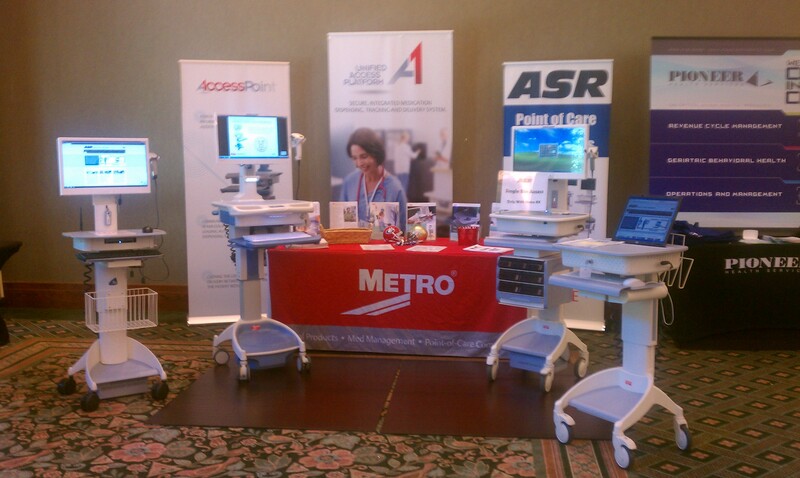 ASR demonstrated many times, the Single Bin Access on the Metro 1770 RX Cart. 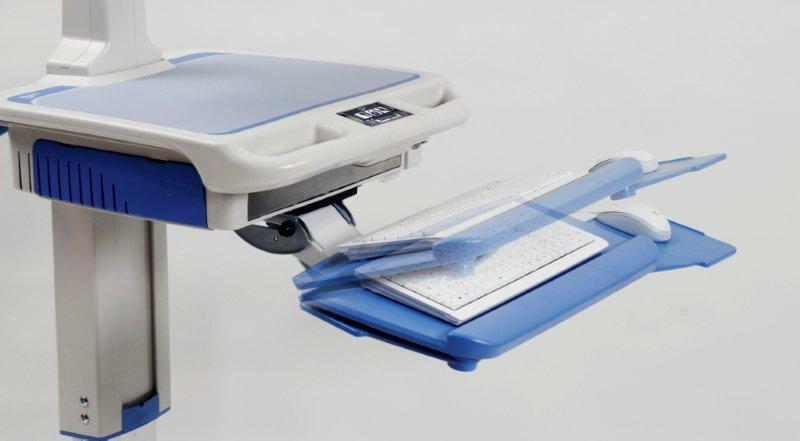 Metro is the only manufacturer that has that feature…one bin opens for one patient. 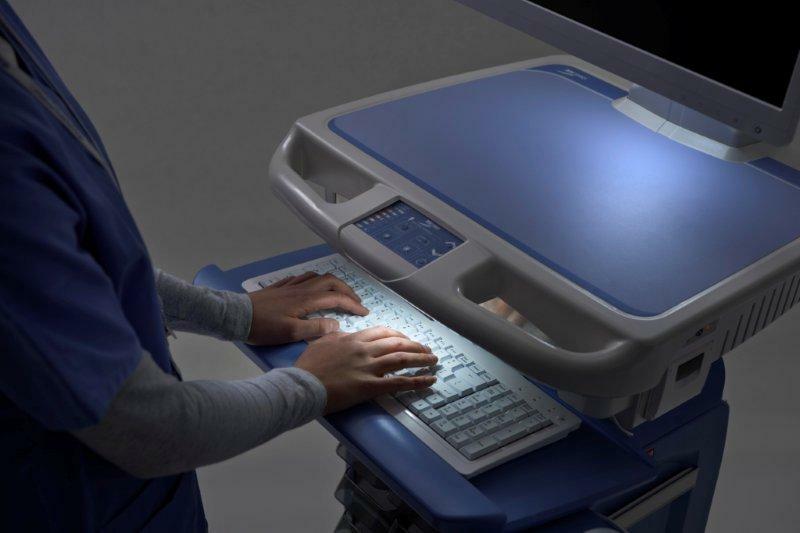 This Computer on Wheels with RX Module is cutting edge in today’s market. Sharing the spotlight at the show was Win Platt, from our Metro Clinical Products Division, showing his many tools for organization and space-saving with the Pharmacy and Hospital.